Roofing Chimney – Roof covering, roof drainage system, flashings, skylights, chimneys and roof penetrations, roof ventilation. Heating/Central Air Conditioning – Permanently installed heating and cooling systems, normal operating controls, chimneys and flues, ducts, registers, heat distribution, fans. Rooms – Walls, ceilings, floors, stairways, balconies, railings, windows. Exterior – Wall cladding, entryways, doors, decks, balconies, windows, railings, walkways, patio, eves, soffits, fascia. Kitchen Components and Appliances – Permanently install dishwasher, range, cook top, permanently installed oven, garbage disposal, permanently installed microwave, counter-top, wall, ceilings, floors, pantry/closet doors, outlets, plumbing, drain, faucets and fixtures. Structural Components – Foundations, floors, walls, columns or piers, ceiling and roof, basements, crawlspace, attic. Roof Structure – Ventilation, insulation in attic, visible wiring in attic. Garage – Garage walls, floor, ceiling, door opener operations. Electrical System – Service entrance, grounding equipment, main and distribution panel, amperage and voltage, branch circuits, lighting fixtures, switches, fixtures, smoke detectors. Bathroom and Components – Exhaust fan, doors, windows, plumbing drains, water supply, fixtures, faucets, outlets, switches. Plumbing System – Interior water supply, piping, supports, insulation, fixtures, faucets, backflow, functional flow, drainage, venting, hot water system. This represents major systems and inspection services we offer. There are many detail of our inspection not listed. 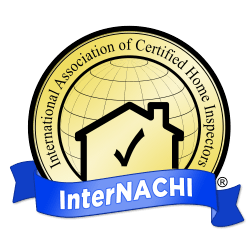 Also, additional inspections services are available. We also offer Radon Testing and Rental Inspections! Please contact us for more details.